This Post has already been read 2986 times. Telenor easypaisa has started to server pensioners to provide them money transfer services more than 3 lack pensioners registered with EOBI through its nationwide branchless banking network. Director General Operation of Employee Old-Age Benefit Institute (EOBI) has announced the declaration to sigh up the service of easypaisa. Now 3 Lakh registered pensioners will benefit the service of easypaisa and get the amount of their old age benefits and pensiones without any hassel to stand on cue and wait for long time tehir turn. This is actually great initiative for old aged people an average estimateion of Rs. 1.6 billion would be transferred through branchless banking service. DGO EOBI, Javed Iqbal said that EOBI provides to its registered members old age benefits like old age pension, survivors pension and individually and also provides the benefits of WWF to holding registered cards. He further said that families of registered works will also entitled to receive the death grant from WWF on the end of their brand earner. He said self-employed person could also register himself or herself with EOBI by paying their own contribution of Rs. 420 per month and avail these benefits. EOBI DG advised its pensioners to register themselves at their nearest Telenor easypaisa franchise. Once registered, the beneficiaries can withdraw pension from the designated 16,00 easypaisa outlets across Pakistan. Go to Telenor Franchise, Telenor Sales & Service Center or Branch of Tameer Bank with original CNIC, Pension Book and PPO to register with easypaisa to receive your pension. 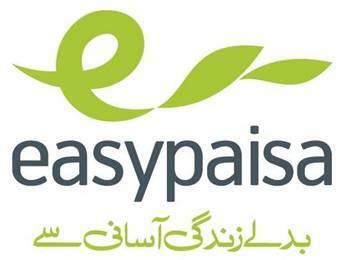 After registration pensioners can receive Pension anywhere any time from easypaisa outlets.